Discussions Magazine Music Blog: STEVE SKAITH: The SPAZ review! STEVE SKAITH: The SPAZ review! We all have those bands that we absolutely love yet they have not achieved the critical and commercial success that they so rightly deserve. Latin Quarter is one of those bands for me. I’ve listened to the band for nearly 30 years and, apart from a UK hit with “Radio Africa” in 1985, the band still remains largely unknown here in the U.S. Latin Quarter has existed off and on - and under the radar - for three decades, releasing seven studio albums and a handful of compilations. The band’s political leanings may be the reason that many people have been unable to grasp their greatness, but if you immerse yourself in their musical world, you’ll discover a band that knows its way around a great tune. Emotive, smart, melodic and thought-provoking, LQ’s songs are, for the most part, penned by guitarist/vocalist Steve Skaith and lyricist Mike Jones. The band were – and still are – difficult to pigeonhole yet the songs transcend all genres. Blend the folk elements of Bob Dylan, the worldly grooves of Peter Gabriel and the off-kilter ‘80s strut of Thompson Twins and The Fixx and…. Well, that doesn’t quite describe them either but it’s a start. In between stints with Latin Quarter, Steve Skaith has released a handful of solo albums, all of them worthy of your time. This latest release, Latin Quarter: Bare Bones, is the best of the bunch and is one of the finest albums in his long career. On this album, Skaith has revisited 10 Latin Quarter tracks, stripped them down to their ‘bare bones’ (ie: just guitar and piano) and manages to breathe new life into these timeless songs. With a mix of the band’s most well-known tracks – “America For Beginners,” “Swimming Against The Stream,” and “No Rope As Long As Time” – as well as key album tracks, the acoustic approach focuses on the most important aspects of the Skaith/Jones partnership: the music and lyrics. While that may seem like a no-brainer, if you listen to the original versions, many of the recordings tended to have a studio polish that sometimes added a layer of cotton candy to the meat of the songs - Bare Bones strips all of that way and gives these songs a new lease on life. Recorded by Skaith and LQ keyboardist Steve Jeffries, this is a truly moving collection of tracks. When the piano takes over for the chorus of album opener “Swimming Against The Stream”, it feels like angels taking flight. The simple, yet moving, arrangement of “America For Beginners” makes it sound fresh all over again. It’s great to hear Steve handle lead on “No Rope As Long As Time” and “The Men Below,” both sung by the band’s female vocalists on the original albums. Speaking of female vocalist, Bare Bones’ final track, “Wounded In Action,” is sung by Jeffries’ daughter Becky CJ, who gives an absolutely lovely folk-influenced performance that is heart-breaking. She’s an internet sensation, you know. Check her out. 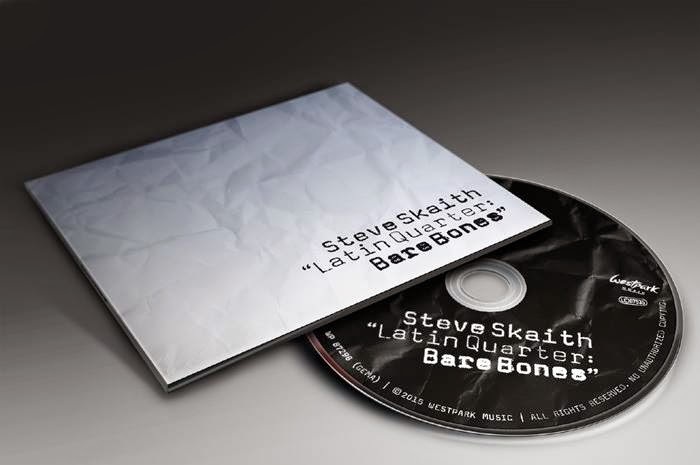 Latin Quarter: Bare Bones is proof that you can still make effective, emotive and powerful protest music in this day and age. One of the best albums of the year by far.